IVOR BEARINGS, INC. Es una empresa fundada en el año 1.983, con la finalidad de cubrir un Mercado en expansión y falta de suplidores confiables en materia de RODAMIENTO S y TRANSMISIÓN DE POTENCIA IVOR BEARINGS, INC. Hoy día suple los mercados de los ESTADOS UNIDOS, CENTRO Y SUR AMÉRICA E ISLA DEL CARIBE, para sus exportaciones en despachos internacionales cuenta con otra empresa perteneciente al grupo: GLOBAL INTERNATlONAL FREIGHT FORWARDING. INC, También situada en la Ciudad de MIAMI. IVOR BEARING, INC. Es una compañia de vanguardia en Servicios de Emergencia en Ventas y Distribución de las mejores marcas de Rodamientos y Transmisión de Potencia, con sus almacenes de STOCK en MIAMI, Provee un servicio de Calidad y comprobada eficiencia, diseñada por los años de experiencia para satisfacer las necesidades de los mas exigentes clientes en las áreas tanto automotriz como Industrial. At INF Bearing we take personal pride in our services. From the first call to the last package processed, we settle for nothing less than excellent customer care. Priding ourselves on being a direct link to the distribution market from all points and manufacturers, we are sure to find the perfect fit to meet your needs. Having obtained many valuable resources both domestic and overseas, we ensure on time delivery and economical pricing for all major brands. Stocking a full line of inventory from deep groove radials, and miniature instrument bearings. To large bore spherical and cylindrical rollers, and everything in between. Please consider INF as an additional source for all your hard to find items, and everyday use sizes. We look forward to your inquiries and welcome the opportunity to service your needs. G & H Industrial Supply is family-owned and operated in Jackson, TN. Since opening in 1994, we’ve treated every customer like they were a part of our family. Other companies may offer similar services, but our services come with a personal touch. Customer satisfaction is our number one priority; it\'s our goal for you to leave here happy! 21st century is the era when science and power combine together. We keep moving forward and running after innovation. Reliable power and transmission depend bearings and related service. VICTOR is world-renown bearing produces. We commit ourselves to satisfying the demand of our clients for high-quality bearing and creating as more value as possible for them by increasing efficiency and reducing cost. To ensure that every product is qualified and your equipment runs soundly, we have more than 200 tests from raw materials to final product. Victor is your reliable partner! At Whisler Bearings & Drives our selection of bearings is second to none, including Ball, Roller, Needle, Linear, Tapered Roller, Spherical Mounted Bearings, Rod Ends, and Bronze. We have them all IN STOCK! Erie Bearings Co. was founded in 1958 and is a leading distributor of mechanical and electrical motion control products. Our sales team understands the products and what they do so they can help you find the perfect product to fit your needs. At Erie Bearings Co., we offer more than just products; we also offer solutions that range from store room management to electro-mechanical repair. With 6 branches and access to over 200 manufacturers, we can fulfill your needs, wherever you are. Desde nuestra sede en Miami,FL podemos dar respuesta a cualquier demanda en Centro y Sur America. Mas de 19 años de experiencia han proporcionado una vasta red de relaciones comerciales con los mercados de rodamientos mas importantes del mundo, permitiendo ofrecer a nuestros cliente solucion a cualquier demanda de rodamientos. Nuestras afiliaciones con importantes fabricantes nos permite brindar respuesta a cualquier demanda de rodamientos , inclusive el diseño y desarrollo de rodamientos especiales fuera de programa estandar de producción. CST BEARING COMPANY specializes in solutions to your bearing problems for all industrial applications. CST stocks a HUGE selection of Ball Bearings, Spherical Roller Bearings, Tapered Roller Bearings, Cylindrical Roller Bearings, Angular Contact Bearings, Cartridge Bearings, Thrust Bearings, Miniature Ball Bearings, Needle Bearings, Mounted Units and more. Consolidated Bearings searches the world for manufacturers of a wide array of bearings and bearing products that will meet our customers’ needs and expectations, “consolidating” our findings into the largest variety of bearing products offered from one reliable source.We sell to Authorized Distributors and Original Equipment Manufacturers throughout North America. We have the inventory, the systems, and the facilities to service 100% of our customers needs. Coldwell and Company, a mill supply warehouse, was founded in the post WW II era by Mr. Clarence Coldwell. Mr Coldwell ran the business until the late 1950\'s when he sold the business to Jack Agnew. Mr. Agnew continued until the late 1960\'s when he took on three partners, and transformed the business into more of an industrial supply house, which it has evolved into today. Kent Weber previously one of the three partners, today remains as the sole owner of Coldwell Co, Inc. 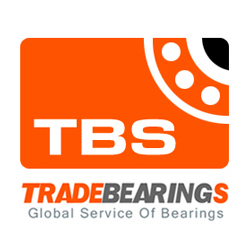 In 1986 the Bearing Division was formed and proved to be very beneficial to the growth of the company. Coldwell has prospered greatly under the leadership of Mr. Weber. The company now has twenty-one full time and four part time employees, the average tenure is 12.6 years, their loyalty is a testament to the fairness and satisfation they enjoy by working for a small independently owned company. The philosophy of Coldwell has been to sell \"product with service\". Without service you are only as good as every other company and we believe our customers know the difference. \"Service\" builds loyalty and relationships.